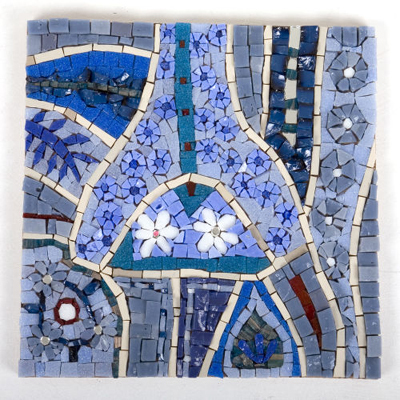 Having studied in Harrogate and for a period in Ravenna, Italy, Ruth is now based in Nidderdale, where she works and teaches. 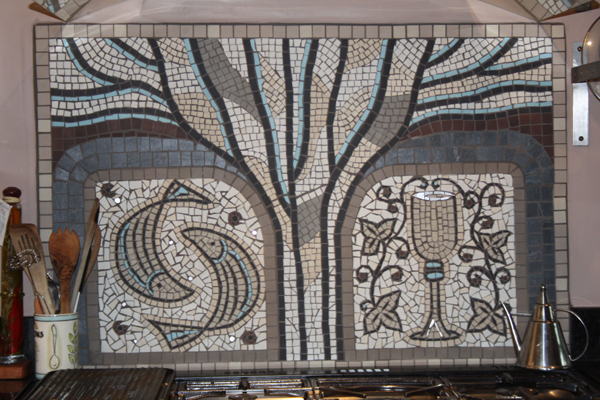 Her inspirations and ideas for the mosaics come from her travels over the years. 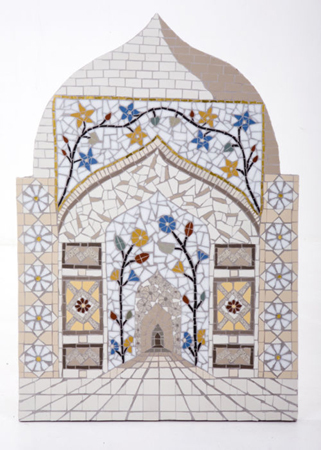 "I'm fasinated by Islamic art and architecture, Asian textiles and the rich and vibrant colours that come alive and seem to dance and sing when bathed in sunshine. 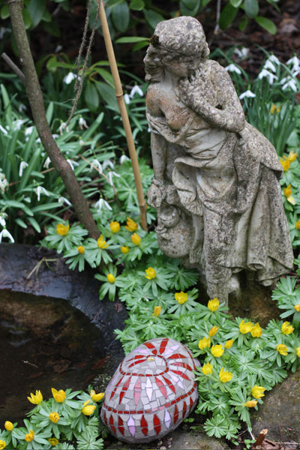 The many different patterns, forms and designs within nature and man-made will be a constant form of reference". Ruth holds several exhibitions a year and runs workshops along side. 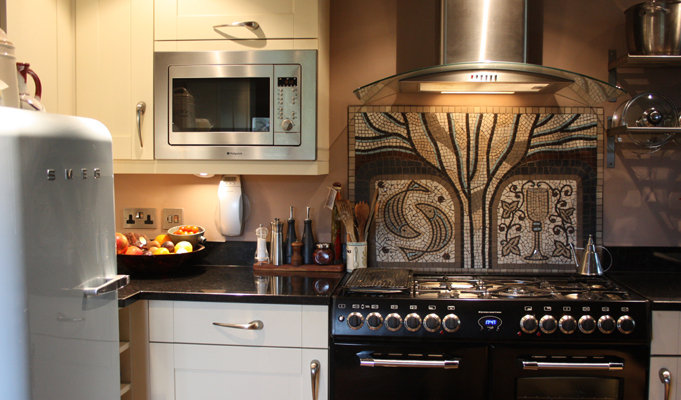 The Cooker Splashback is an example of Ruth's bespoke interior work. 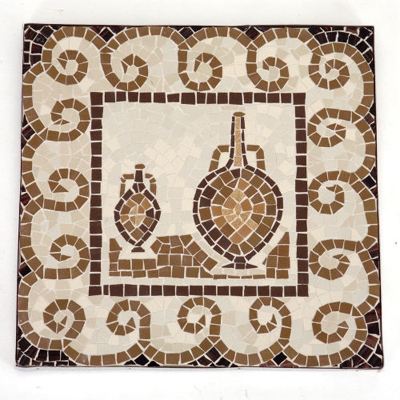 This piece was designed around the colours and themes in the customers kitchen.